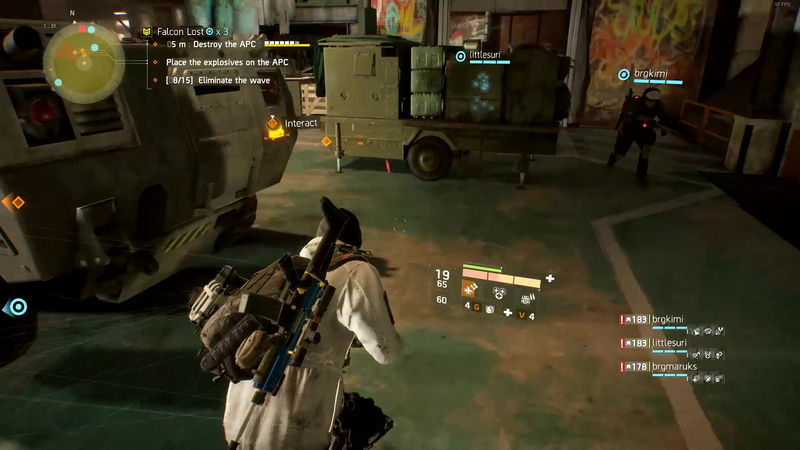 The main goal of the Falcon Lost Incursion is to Destroy the Enemy APC by picking up dropped explosives from enemies and planting them on the APC. There are 15 waves of mobs and every so often, a wave mob drops an explosive which you need to plant on the APC. Survive all the waves and plant the bombs successfully to complete the mission. Please note that all spawn locations listed here are in relation to where you enter the room from. Wave 1: Rushers and Riflemen from the front. Wave 2: Grenadiers and Riflemen from the lower left and right side. 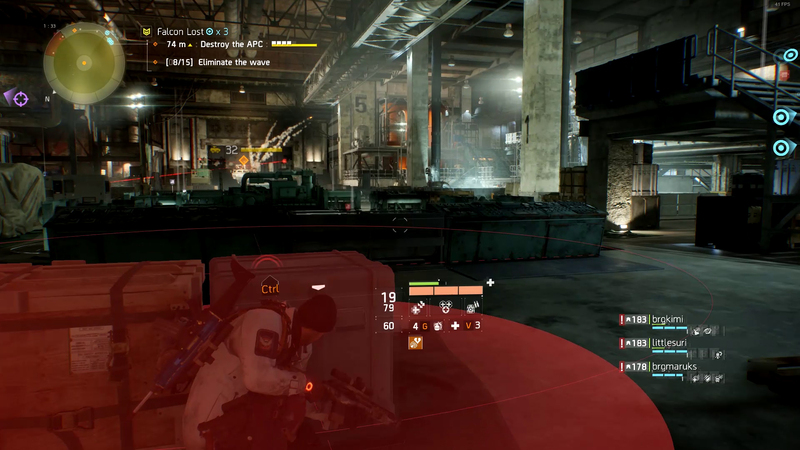 Before Wave 5 begins, snipers will spawn from the upper left and upper right sides at the same time as the missile salvo. Wave 5: Rushers from upper back right canopy. Snipers from the upper left and upper right. Wave 6: Drones from behind, Grenadiers and Sniper from the upper right. A First Wave Agent, Grenadiers and Snipers from the left and upper left. 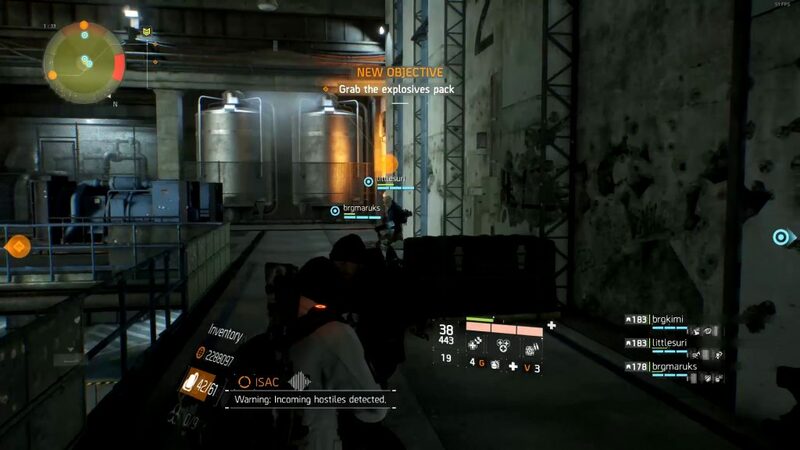 Wave 8 (Explosive Drop): Rushers, Riflemen and Sniper(explosives carrier) on the right. Snipers from the upper left and drones from the front. 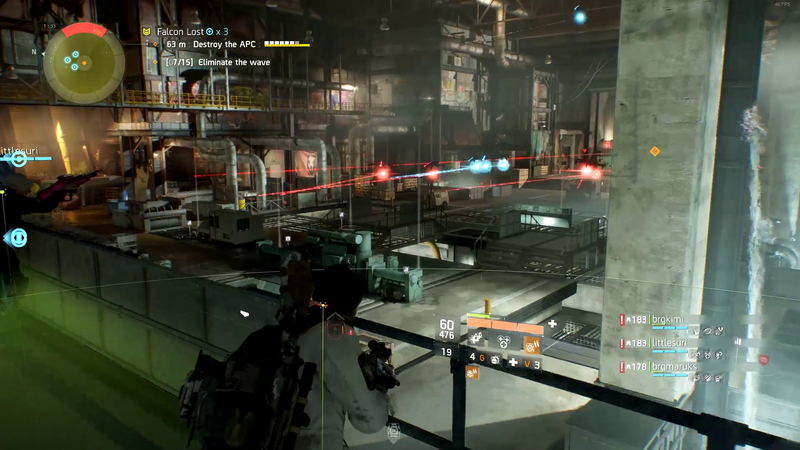 Before wave 9 spawns, two snipers on upper left and upper right will spawn at the same time as the missile salvo. Wave 9: Machine Gunners and Riflemen from left and right sides. Wave 10: Rushers and Machine Gunners from the left and right sides. Drones, Machine Gunner, First Wave Agent and rusher from the back. Wave 11 (Explosive Drop): Upper right canopy will spawn one Machine Gunner (explosives carrier). Grenadiers and Heavy Machine Gunners from the back. Machine Gunners and Sniper from the right side. Wave 12: Machine Gunner from upper right back corner. Machine Gunners and Medics from left and right. Drones and Machine Gunner from the back. Wave 13: First Wave Agent from the upper right back corner. Large group of Machine Gunners and Medics from the back, some from the left and right sides. Wave 14: Medic and Drones from the back. Rushers and First Wave agents from the left. Rifleman and more Drones from the front. 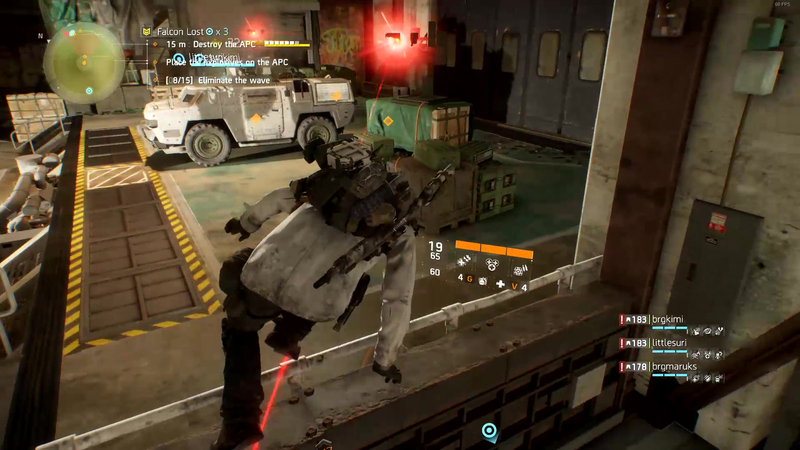 Wave 15 (Explosive Drop): Medics, First Wave Agents, Machine gunners and a drone from the left and right sides. One of the First Wave Agents from the left side is the explosives carrier. 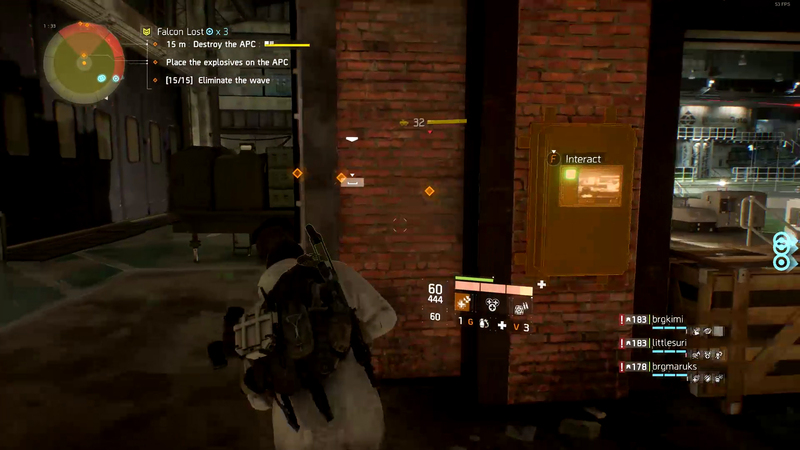 They keep spawning until you plant the bomb, so clear enemies on one side while making your way to the APC. 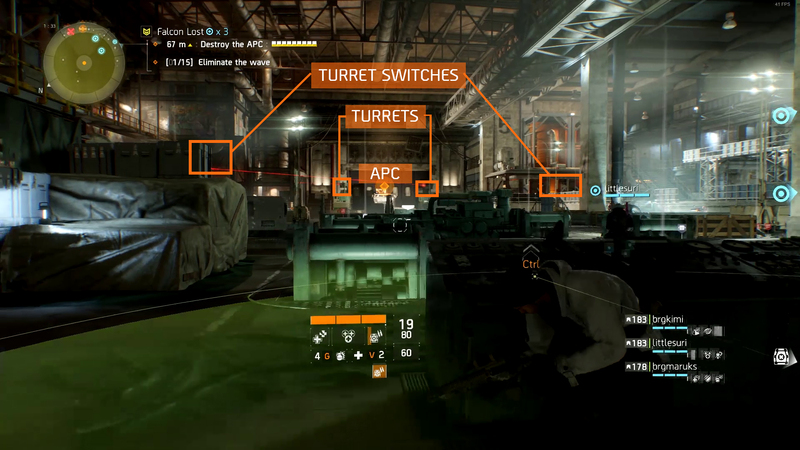 Prioritize killing the First Wave Agents/turrets first, and after you plant the explosive the APC will self destruct and remaining mobs will despawn when the APC dies. After all that, you are done! CONGRATS AGENTS! There are 2 ammo crates in the middle of the map and when we need to go for an ammo run, we leave 1 or 2 mobs during a wave, get ammo and go back to our position. 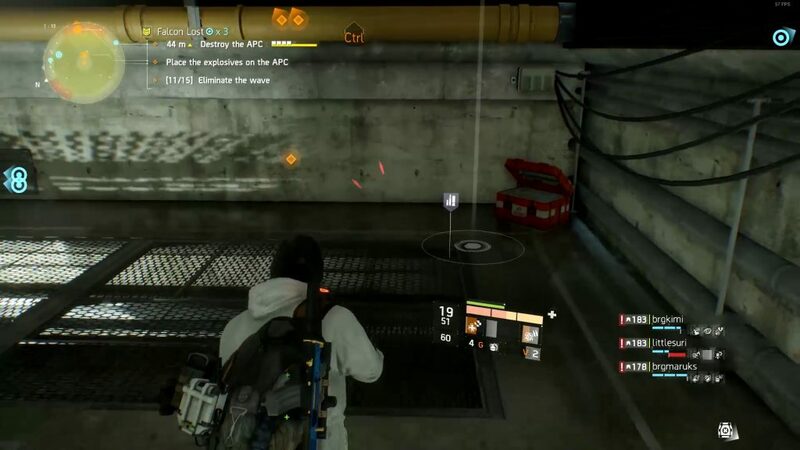 Ammo crates found at the lower level. 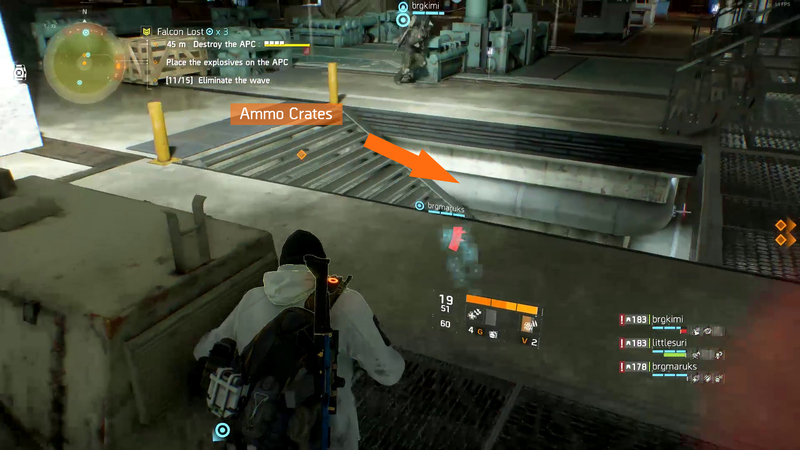 Ammo crates are ONE USE only, so watch your ammo consumption. 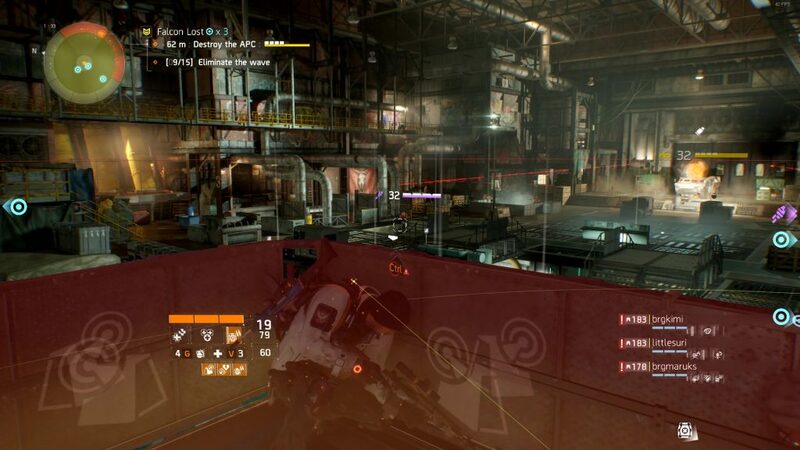 Having a team member with a Support Station with the Ammo Cache mod will help. Drones: Blue = Zapper, Red = Damage, we usually stun them with a sticky bomb with a flashbang mod to keep them from moving around too much. The flashbang mod has an EMP effect and disables the drones. Prioritize killing enemy agents and deployed turrets. Watch out for the APC’s mortar round. It has a fairly large AOE and it leaves a burning effect that you cant really see for a few seconds. 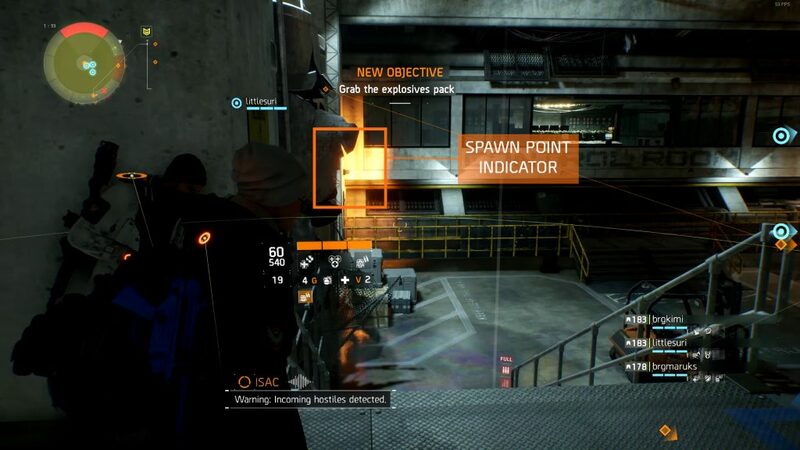 On wave 4, 8, 11 and 15, one enemy will be marked as the explosives carrier. Once you kill that enemy, they will drop the explosive. 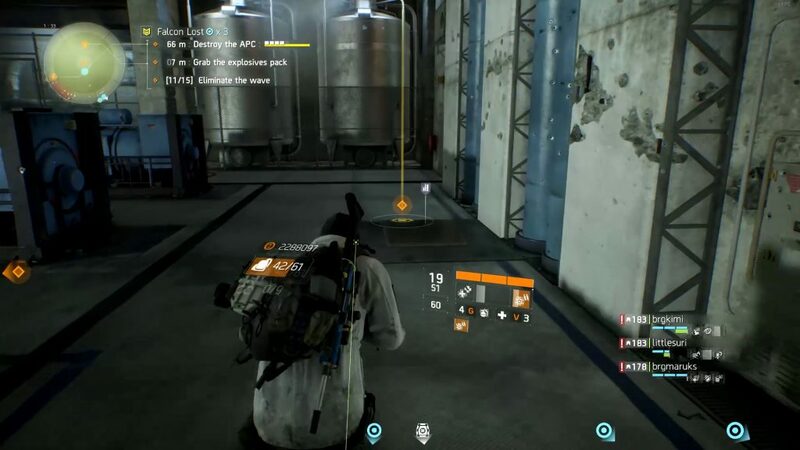 A party member with decent stamina and life needs to pick up the explosive and plant it on the back of the APC. The switches used to disable the turrets are only temporary. After a short time, they will turn on again on its own. So you need to disable both turrets at the same time. Alternatively, you can disable just one side and let someone else draw aggro of the other, preferably someone with a Ballistic Shield. If you take too long to plant the explosive, the same wave will spawn again so you have to be quick! We sometimes just clear one side of the room and then plant the explosives before clearing the explosives wave. Fair warning: The missile salvo will begin right after the explosives detonates. So be careful if you leave enemies alive during this phase. 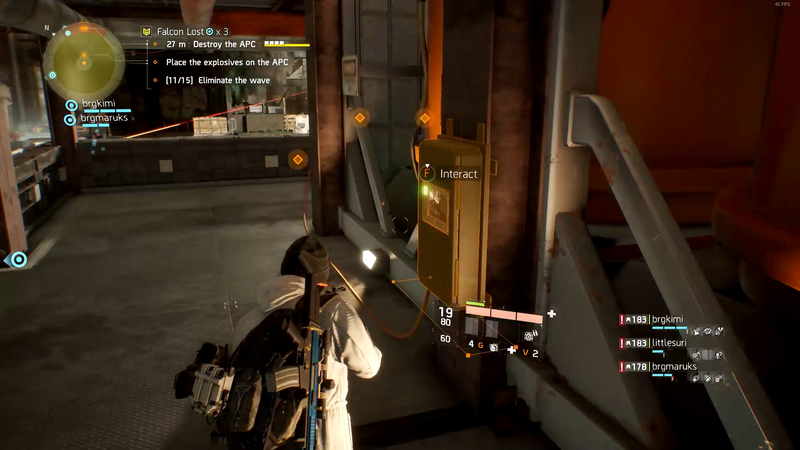 Aside from the guaranteed set item you get for completing it once a week, The APC also drops loot. You will get a Gear Score 191 set piece item. You can only trade the loot that the APC drops and not the loot you get for the weekly completion. 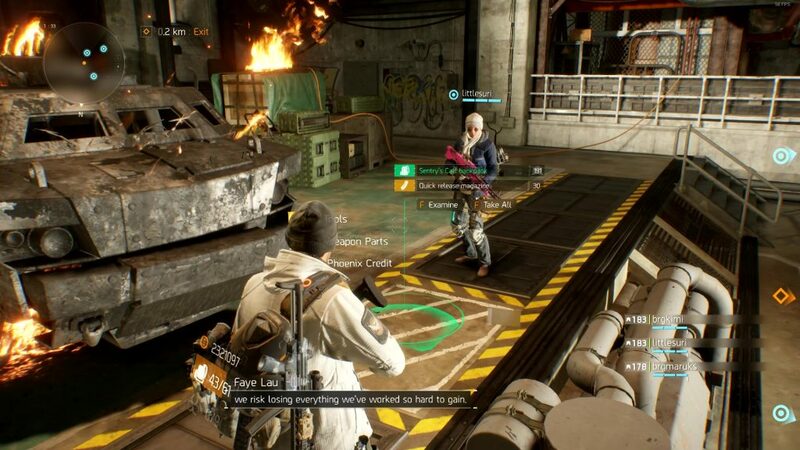 Hard mode drops seem to be limited to: Holster, Backpack and Chest. *Updated be more specific and added wave enemy types. Added loot section. Check back soon for our Challenge Mode guide!